Cameron Moline Catches His First Salmon! 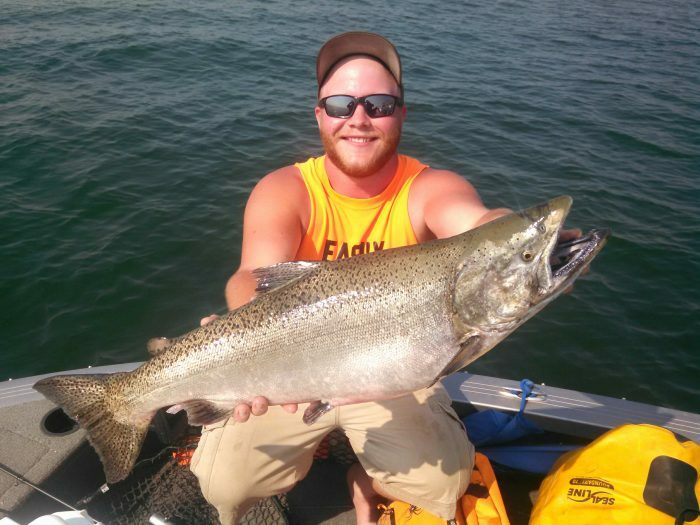 Joe Moline and his wife Renita were fishing with one theirs sons, Cameron, and he caught his first Fort Peck chinook salmon! It weighed 13 pounds!! They were fishing at a depth of 125 feet with a clear 11-inch flasher followed by a blue squid. The fish was caught Friday afternoon by Duck Creek over 160 feet of water near the dam.